If you’re not keen on renting a car but would rather have your own vehicle when travelling through New Zealand Chilli Rentals has just the right thing for you! Our Chilli Campervan Sales offer you a great range of vehicles with lots of different models to choose from. We’re happy to help you find exactly what you need for your trip. You’re still at home or already travelling the world and are planning to buy a vehicle for your trip through New Zealand? 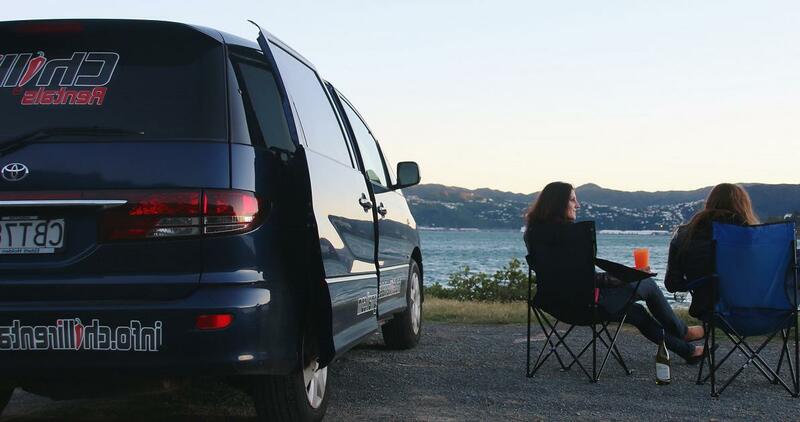 Our campervan pre-sale gives you the option of buying a car or campervan even before your arrival so you have more time for sightseeing once you get here. Wondering how that works? Find out more! You’ve just arrived in New Zealand and are looking for the right vehicle to get you around New Zealand? Come and check out the Chilli Rentals Campervan Sale! There’s a great range of vehicles to choose from at our depot in Auckland and we’re happy to help you find the right one that suits your needs. Each of our vehicles has a current and valid Warrant of Fitness (WoF) and Registration (Rego) and has been mechanically inspected prior to us putting it up for sale. Find out more! Why should you use Chilli Rentals when buying a car or campervan? Chilli Rentals offers you quality vehicles for a reasonable price, friendly service and the option of buying back any vehicle after the end of your travels. Sure, there might be cheaper options available online especially when you’re looking at purchasing a vehicle from previous backpackers or Kiwis on Facebook or TradeMe. Be aware, though! You never know where those vehicles have been and whether they have been regularly serviced, let alone properly maintained. Driving on New Zealand roads – which are often gravel – and beaches can take its toll on any car or campervan. Buying off a private person does not give you the guarantee of actually getting a safe and legal vehicle. You might think you’ve made the deal of a life-time, only to find out a few weeks down the road that you’re not getting another Warrant of Fitness (WoF) or that costly repairs are eating up your travel budget. When you choose Chilli Rentals you can be sure you’re purchasing a vehicle that has been thoroughly tested and any damages or faults have been repaired. We put a lot of time and effort into looking for the perfect car or campervan that exactly suits your needs. If you think we’re charging a bit more than others for that – please keep in mind that our service includes ongoing support. We even offer to buy back your car at the end of your travels so you don’t have to worry about that, either. We think that’s a pretty awesome deal!